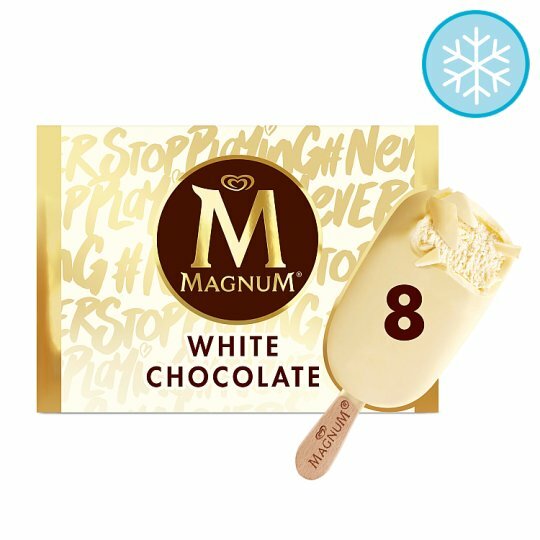 Magnum White chocolate ice cream (8x110ml). Delicious and playful. Vanilla ice cream wrapped in cracking Magnum white chocolate for a perfectly balanced sweetness.